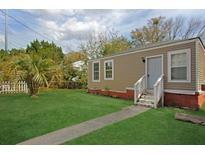 Find North Charleston, SC Homes for sale. View Photos, Maps and MLS Data Now! Indigo Palms - Home includes 8 year Builder Warranty. MLS#19011330. Carolina One Real Estate. Union Heights - In addition to the parking space at the back of the lot, this listing adds a lot zoned residential R-1, single family MLS#19011265. Agentowned Charleston Group. Perfect starter home, retirement or investment. MLS#19011322. The Boulevard Company, Llc. Don't miss this opportunity. List agent is owner. MLS#19011308. Agentowned Realty Co. Premier Group, Inc..
Coosaw Creek Country Club - The master is conveniently located on the main level w/ a luxurious ensuite with large MLS#19011056. Coldwell Banker Residential Brokerage. Upstairs you will find your master suite MLS#19011189. Keller Williams Realty Charleston West Ashley. Perfect for kids, pets and entertaining friends and family! MLS#19011172. Simply Commercial Real Estate. Please come out today before its too late! MLS#19011071. Re/Max Alliance. For more formal gatherings, the separate dining room MLS#19011029. Carolina Elite Real Estate. 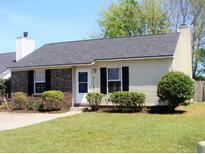 Wando Woods - Fully renovated bathrooms from top to bottom!Additional features include: MLS#19011037. Matt O'Neill Real Estate. Elevated home has plenty of parking w/2 car drive under garage + gravel parking for 3. Corner lot w/mature Elm trees! MLS#19010842. Dunes Properties Of Mt. Pleasant. Morningside - This HOME includes a Private drive, a huge yard & wood deck giving it plenty of room to entertain guests! MLS#19010949. Coldwell Banker Residential Brokerage. Large storage shed to convey ''as-is''. Come see this home today! MLS#19010903. Jeff Cook Real Estate Llc. Brentwood - Conveniently located to shopping, bus line and I-526. MLS#19010911. Carolina One Real Estate. Community highlights of Mixson include: Charleston's premier swim and social club boasting a heated saltwater pool. MLS#19010814. Stanley Martin Homes. Community highlights of Mixson include: Charleston's premier swim and social club boasting a heated saltwater pool. MLS#19010812. Stanley Martin Homes. In addition to the master, there is another bedroom on the first floor with an on-s MLS#19010799. Shore Properties. Community highlights of Mixson include: Charleston's premier swim and social club boasting a heated saltwater pool. MLS#19010785. Stanley Martin Homes. Community highlights of Mixson include: Charleston's premier swim and social club boasting a heated saltwater pool. MLS#19010784. Stanley Martin Homes. Community highlights of Mixson include: Charleston's premier swim and social club boasting a heated saltwater pool. MLS#19010790. Stanley Martin Homes. Archdale - MOVE IN READY!This custom remodeled home in a well established neighborhood is BETTER that new!It's been updated from top to the bottom:NEW roof;HARDI PLANK all around the house (changed from original vinyl);NEW stainless appliances;NEW e-Windows and Doors;GORGEOUS crown molding throughout the entire house;freshly painted;HARDWOOD FLOORS throughout the entire house;Fully remodeled kitchen and bathrooms(NEW cabinetry with Granite,back splash,tile);BEAUTIFUL screened-in porch and patio+beautiful backyard=great for entertainment.The house has a nice flow with 10'ceilings downstairs,separate dining room,formal living with wood fireplace,GREAT hardwood&iron staircase invites you upstairs where the 4beds&2baths are;NICE landscaping and fenced backyard!Great Dorchester II schools and X flood zone MLS#19010761. Carolina One Real Estate. Taylor Plantation - The home sits about a block from Eagle's Nest Elementary and River Oaks Middle School. MLS#19010604. Keller Williams Realty Charleston. You'll also love being conveniently located to shopping, dining and 26. Schedule your showing today! MLS#19010613. Matt O'Neill Real Estate. Colony North - The Newberry is an open floor plan that merges kitchen, dining and family room creating a wonderful family hub adored by stainless steel appliances, bar counter tops, large wood cabinets and a generous pantry in the kitchen. MLS#19010665. Carolina One Real Estate. Archdale - The dining room connects to kitchen and entry way room that could easily be used as an office or additional entertaining space. MLS#19010367. Dunes Properties.